The 17th Annual Frozen Fire and Lights is the perfect place to round out a month of festivities. 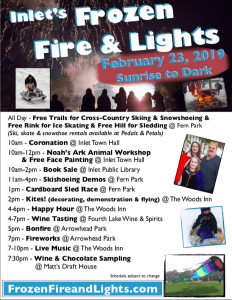 Always scheduled the last Saturday in February, Inlet’s event has grown from a firework display to a town-wide affair. » Continue Reading.